Last week a couple of online retailers prematurely posted listings for a special edition Xbox One X. Yesterday at Gamescom, Microsoft confirmed that it would indeed be releasing the Xbox One X – Project Scorpio Edition. Since then the exclusive signature console has already nearly sold out. 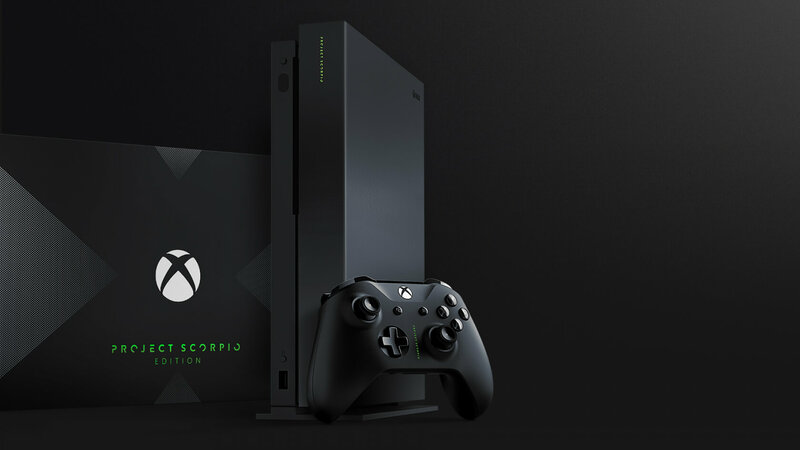 Several retailers like Amazon and GameStop have already pre-sold their entire allotment of Scorpio units. The demand for Microsoft’s new baby is high because at six TFLOPS of graphical computing power it will be the most powerful home gaming console on the planet when released. Although it has received some criticism for being a mid-generation upgrade similar to the PlayStation 4 Pro, that has not seemed to slow sales down. However, standard Xbox One X pre-orders have yet to go live at most outlets, so we will see if the demand is as high for the non-Scorpio counterparts. One concern many would-be buyers have is a lack of games that support the full power of the new hardware. Even after having been out for almost a year now, there are only 64 games that have been enhanced for the PS4 Pro’s hardware. In this regard, the Xbox One X is going to outshine Sony’s darling. Triple PS4 Pro's launch titles and nearly double Sony's current developer support right out of the gate. Microsoft has already confirmed 121 current and upcoming games will be enhanced for the One X. That is triple PS4 Pro's launch titles and nearly double Sony's current developer support right out of the gate. A few big names that will be getting the 4K treatment on the Xbox One X include Assassin’s Creed Origins, Dishonored 2, Fallout 4, Injustice 2, and The Witcher 3. If you are interested in seeing if your favorite game will be optimized for the Xbox One X, you can view a full list of enhanced titles at Larry Hryb’s blog “Major Nelson.” Don’t worry about whether you will have to re-buy Xbox One games you already own. Microsoft reassured fans at E3 2017 that Xbox One games can be patched to utilize the One X’s power. The Xbox One X sells for $499, and both editions will start shipping on November 7. The Scorpio version sells for the same price as the standard, but good luck finding one. People are already asking five times that price on Ebay.